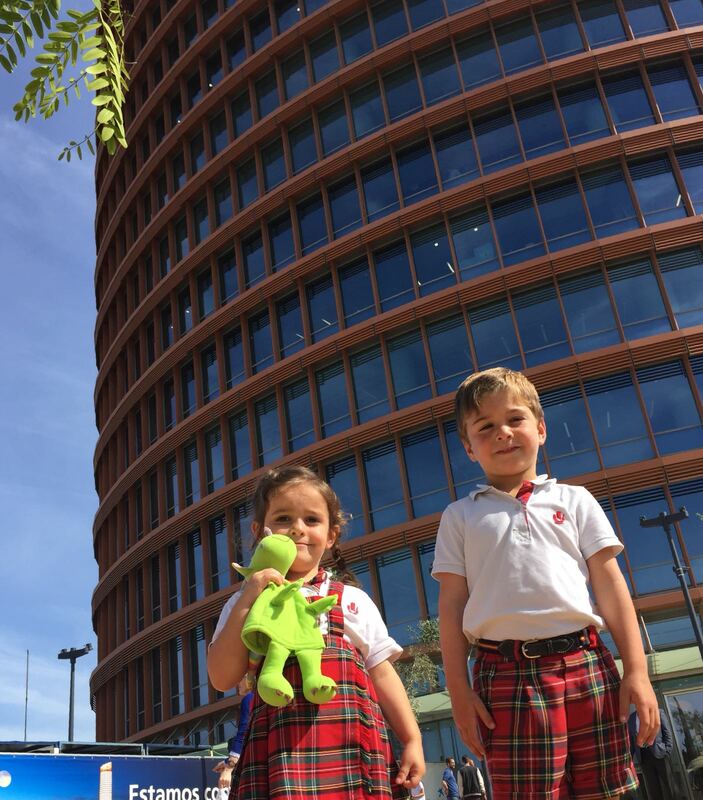 Music and songs form an important part of the Magic dragon project and are a key factor in the successful learning on English. 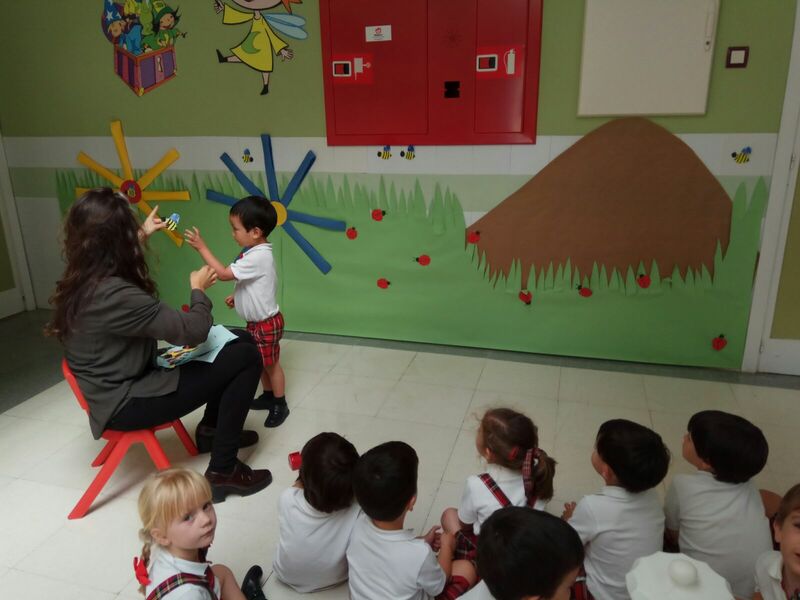 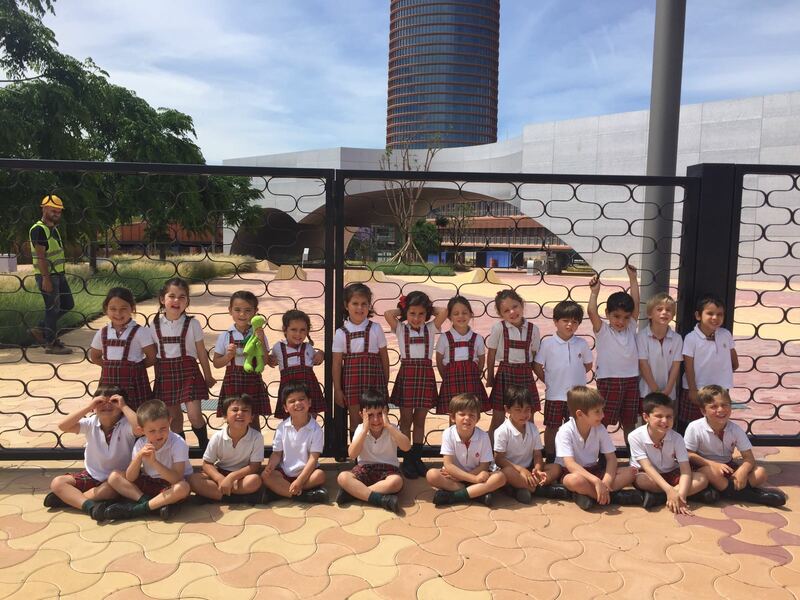 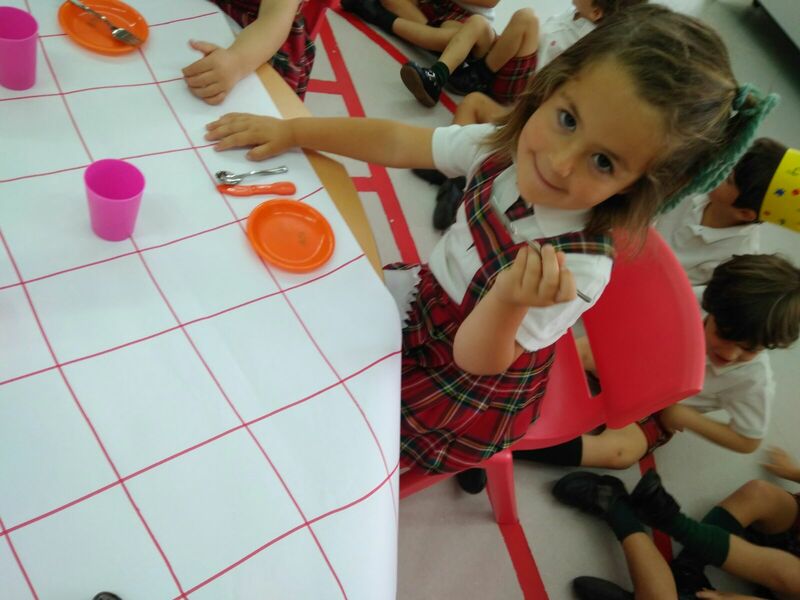 Furthermore, they are a lot of fun and we enjoy singing and dancing in the classrooms with our teachers whilst we act out the songs. 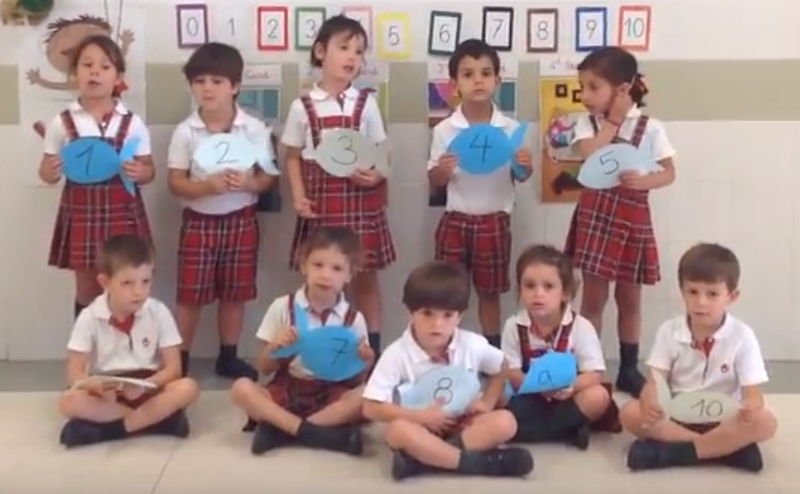 Here is a class of 4 year olds singing a traditional childrens song. 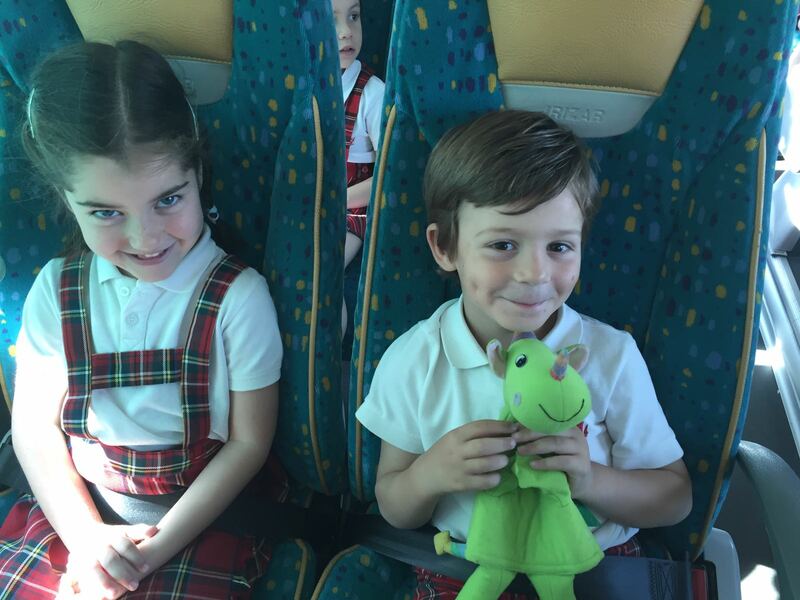 This week the children from Year 2 and Year 3 went on a school trip to see a play about a man who loved recording the countryside. 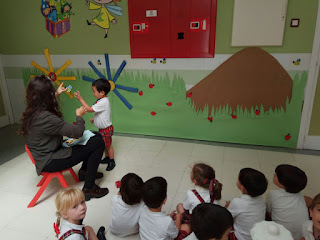 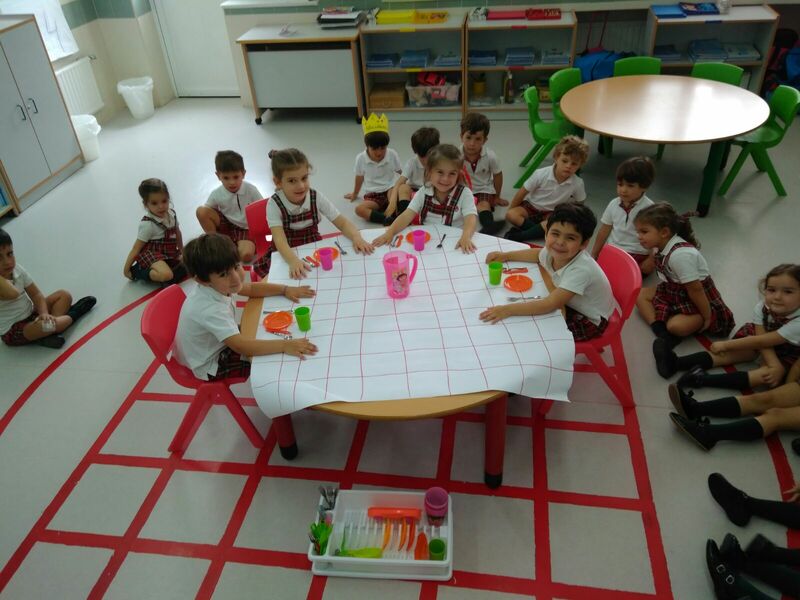 We had a lot of fun taking Magic dragon everywhere with us and learning how to imitate the sound of the rain. 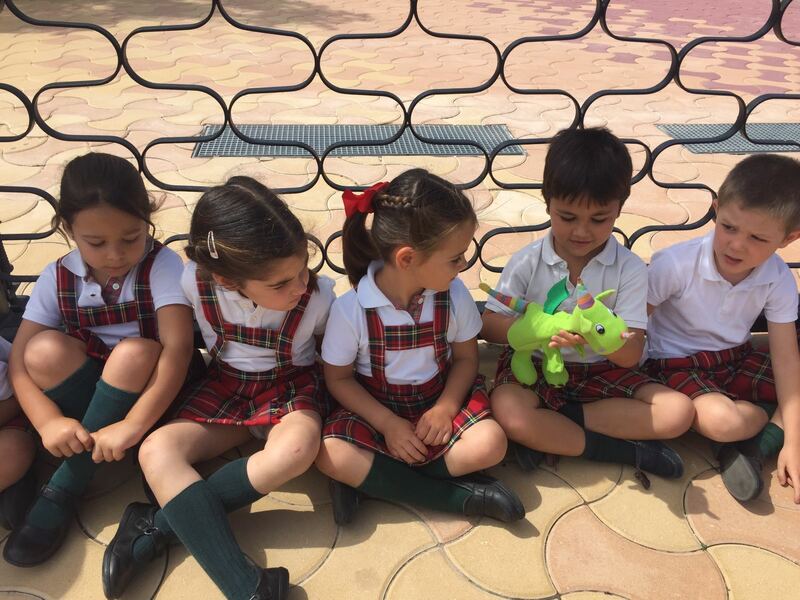 Take a look at some of our favourite moments with Magic. 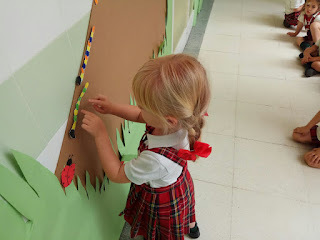 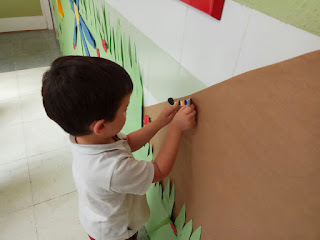 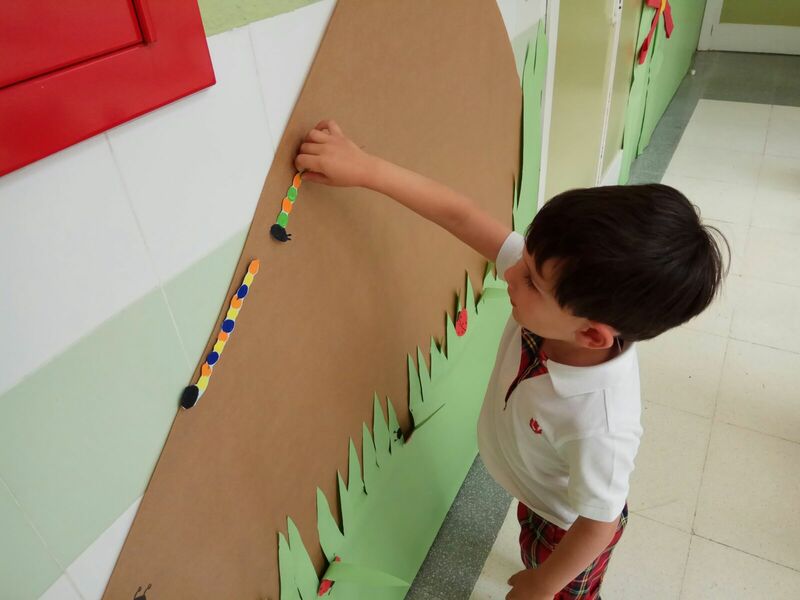 Last week we showed you some photos of how we were painting different spring bugs with stamps made from potatoes, apples, and even our own hands and fingers! Now we want to show you the result of all that stamping. 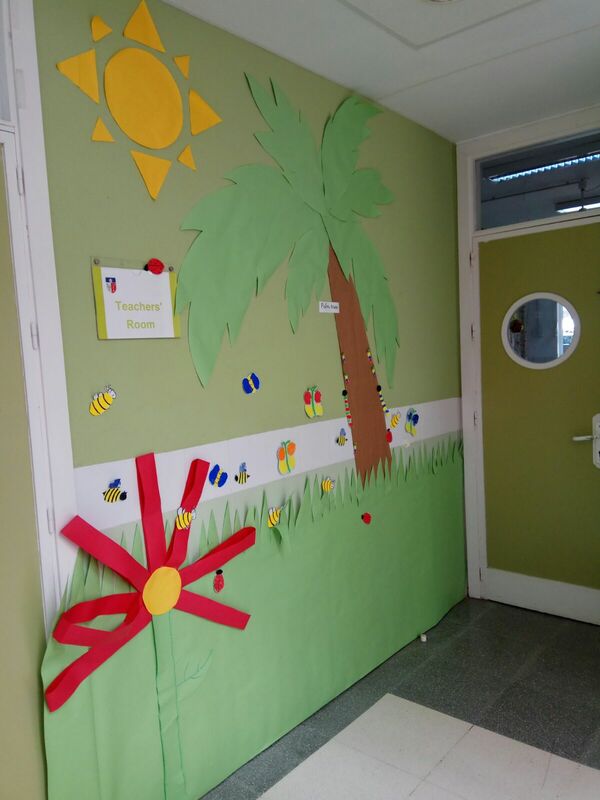 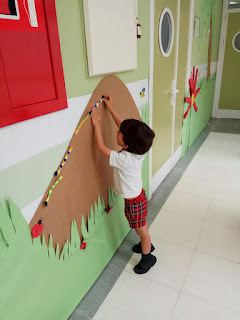 We had great fun decorating the spring wall with all the animals we had made and talking about them with our teachers. In Year 1 (3 years old) we have been learning a poem about beautiful flowers that we can see in spring. 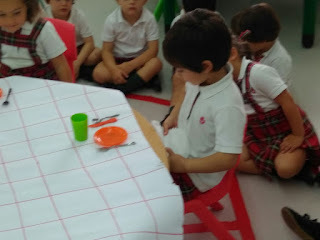 The poems not only help us learn vocabulary, but also rhythm and prounciation, two factors which are very important in English.